It’s movie night tonight at 9 pm ET on Ken Michaels’ Every Little Thing, your weekly gathering place for Beatles and solo Beatles cheer. Then, it’s Ken’s weekly thematic set, this time around featuring five songs written and appearing in movies by the Beatles and Paul McCartney: “Live and Let Die,” “The Night Before,” “A Love for You,” “All Together Now,” and “Spies Like Us.” It’s a cinematic music feast, and you’re invited! Don’t forget to tune in tonight at 9 pm ET for the latest edition of Ken Michaels’ Every Little Thing. See you on the radio! And then, after Ken gets you and yours “Anthologized” with a tune taken from the second Beatles Anthology release and a John Lennon track from the Lennon Anthology box set, he turns down the house lights and puts the spotlight on a very cool, all-acoustic set featuring George Harrison, McCartney, Lennon and a group number from the White Album. It’s Ken’s weekly thematic set, and this one’s really special. Top it all off with a head-scratching trivia question, this time in the form of a Beatles One-Liner, and you’ve got another in a series of fun hours chock full of gear goodness. Don’t miss it! 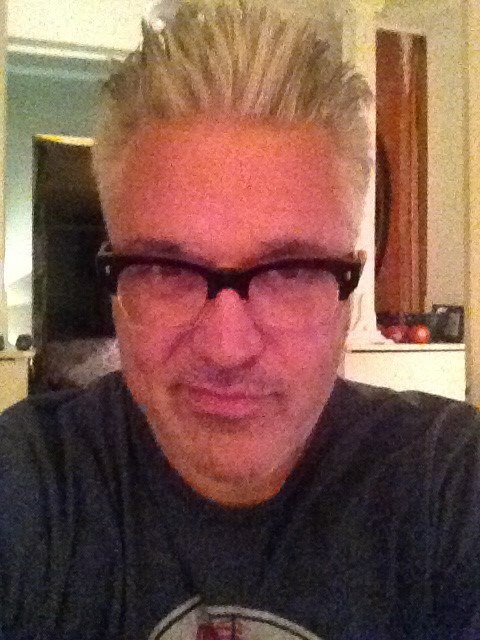 Ken Michaels’ Every Little Thing airs every Monday night at 9 pm ET on Pure Pop Radio. Set your alarm clocks so you don’t miss a minute! God knows how these things happen, but they do, they really do, and thank God they do because we’d have to invent this kind of thing if they didn’t.This kind of thing, this magical musical mixture exhibiting the tasty influences of Barry Manilow, the Carpenters, the Beach Boys and, hey why not, Paul McCartney, is a thing of beauty, an artful excursion that can and will enrich your life, take you to your happy places and prove to you that good things absolutely do come in all manner of packages–small, medium, large and beyond. Here lies the magnificent sound of Dave Caruso, whose skills as a maker of music that speaks to you and takes you to a higher place are without peer as they are within you and cannot exist without you. 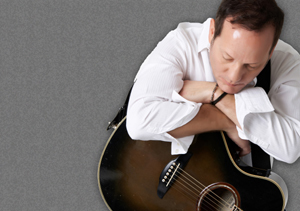 Dave Caruso’s lovely, melodic songs are of a place that hardly exists in today’s world of processed and premeditated music that populates the radio airwaves. These songs are crafted with care, note by note, lyrically tuned to evoke emotion, and sent off into the world only when they’re right with themselves and right for the world. By which I mean they either feel right or they stay home, under the covers to bake a little longer, until the thing of it–the heart and soul of it–is beating in synch. Songs like the Beach Boys homage (with Carpenters shadings) “Champion,” on Dave’s new album, Cardboard Vegas Roundabout, stand out as the album’s fuel. These beautiful melodies, sharp musicianship and gorgeous, multi-part harmonies take listeners away. Likewise, the astounding tight harmony singing that kicks off and populates the beautiful “I’ve Tried to Write You” makes everything else in your life irrelevant for the four minutes and sixteen seconds it takes for the song to play. The aura of Barry Manilow shapes the very seventies vibe of the upbeat “The Art of Erica.” It’s a radio song if ever I heard one, a serious contender for a concert staple delivered to adoring, screaming fans who shake, rattle and roll at the sound of its first notes and marvel as they are bathed in the warmth of the closing Beatles chord. Saving the best for last, Dave rolls out a powerful, solo take on a soulful, light gospel number, “It’s a Great Day for the Angels.” Powered by some keen Carole King-esque piano, Dave’s strong vocals (lead and background) and some tasty synth shading, this song promises to be covered by scores of artists looking for that signature number to feature in their shows, albeit a signature song that has someone else’s signature. It’s a beauty. Cardboard Vegas Roundabout, start to finish, is as fine a soft pop experience as exists today, but it’s only half of the story. The deluxe edition of this album features a second disc, packed tight with alternate versions, different mixes and demos. It’s the kind of thing collectors drool over, and as you will now be counting yourself as a Caruso fan, you too will be drooling. Amongst the treasures on Slip Road (the regular album is known as Main Road) are a stripped-down version of “Champion” that puts the deserved spotlight on Caruso’s incredible vocals (and ups the Carpenters effect), and a stripped-down version of the proper album’s opener, the bossa nova-esque “Mystery & Sweetness,” that also puts Dave’s voice in the spotlight. And rightly so. The magic exhibited on Cardboard Vegas Roundabout was also evident on Dave’s equally-astounding EP Elizabeth Parker, released in 2004. By turns jangly (the opening, Byrds-like title track), pure poppy (the Elvis Costello tip of the hat “I Can’t be on Time”), Beatley (especially on the perfect-for-A Hard Day’s Night samba-esque acoustic ballad, “If I Died Today”), and rocky (the organic, propulsive “Letter to My Ex”), this is as good as Roundabout, and just as essential. Kudos to Dave for putting together a solid, visual package for Roundabout that you can hold in your hands and admire. The 12-page booklet even includes the lyrics to the songs and full musician credits. As you might expect, Dave plays a trillion instruments, and all of them swell. For those of you who already know Dave’s music, and for the rest of you to whom Dave is a new favorite, Roundabout will become a treasured part of your music collection. 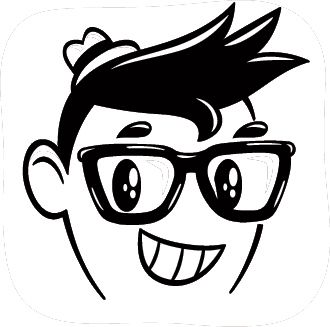 You will be doing yourself a huge favor by picking up everything Dave has released–a visit to Dave’s website will set you up. 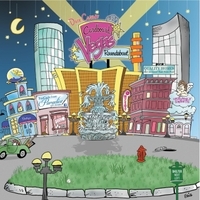 And now, because I am in love, love, love with Dave’s music, I’ve decided to give away nine, count ’em, nine autographed copies of Cardboard Vegas Roundabout. If you’d like to win one, simply fill in the form below and type “Dave!” in the Comments box. Deadline for entering is noon ET on Monday, September 29. Only one entry per person, please. Good luck! And enjoy the wonderful world of Dave Caruso! 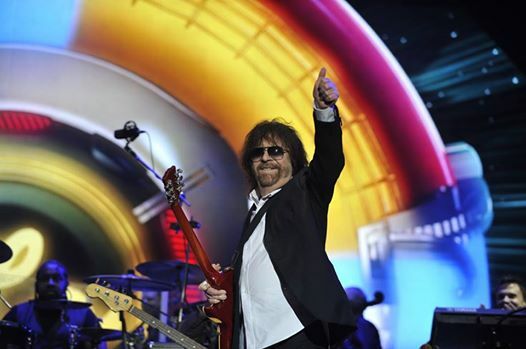 Jeff Lynne’s ELO Takes London’s Hyde Park by Storm! Tell Tchaikovsky the News! Big thumbs up for Jeff Lynne’s ELO! “Yes, I’m turnin’ to stone ‘cos you ain’t comin’ home, why you ain’t comin’ home if I’m turnin’ to stone? You’ve been gone for so long and I can’t carry on, yes I’m turnin’, I’m turnin’, I’m turnin’ to stone!” Jeff Lynne steps back from the microphone with a slight step and suddenly, as if he were the only performer on stage in front of 50,000 young and old and in-between fans, draws a wide smile on his face–a self-congratulatory attaboy for his seemingly effortless skill employed during the fast, percussive, staccato lyrics coming just before the last verse in the song “Turn to Stone,” the opening salvo from 1977’s Electric Light Orchestra double album, Out of the Blue, which is only fitting as that pair of couplets was delivered to the Hyde Park crowd in double time, and here was Birmingham, England’s native son effectively saying “It’s been 37 years since I recorded that and I can still shoot it out at you.” Looking trim in a black suit, white shirt and a rock ‘n’ roll attitude, Jeff Lynne advanced a small step back to the microphone and continued on with the song. And so it did for 80 minutes, give or take, as part of BBC Radio 2’s Festival in a Day, which also featured other artists who performed their hearts out, but during these moments, the only hearts that were beating from the stage were Jeff Lynne’s and ELO keyboardist Richard Tandy’s and a host of other top-notch, invested performers’, merrily augmented by live strings from the BBC Concert Orchestra, the members of which were caught smiling every now and again, and when the string players are smiling you know, in your heart of hearts, something is up. Lynne’s set was perfectly executed and perfectly modulated with highs and more highs and yet more highs keeping the flow magical from first song to last. Opening with a spirited surprise–“All Over the World,” from the film Xanadu–ELO’s main man played the hits, pretty much just like on the record, as God intended. Except during the lone encore, a wild and wooly, balls to the wall rendition of Chuck Berry’s “Roll Over Beethoven,” during which Lynne’s fierce electric guitar runs and Tandy’s Jerry Lee Lewis piano took center stage as the orchestra dug into their violins and cellos and the drummer drummed like there was no tomorrow and the various other guitar players and percussionists whooped it up as if in the eye of the rock ‘n’ roll storm. Lynne, particularly, relished the chance to channel his bodacious, rocking inner child, pulling off a fireworks-worthy series of rockin’ guitar runs that threatened to set the stage on fire. 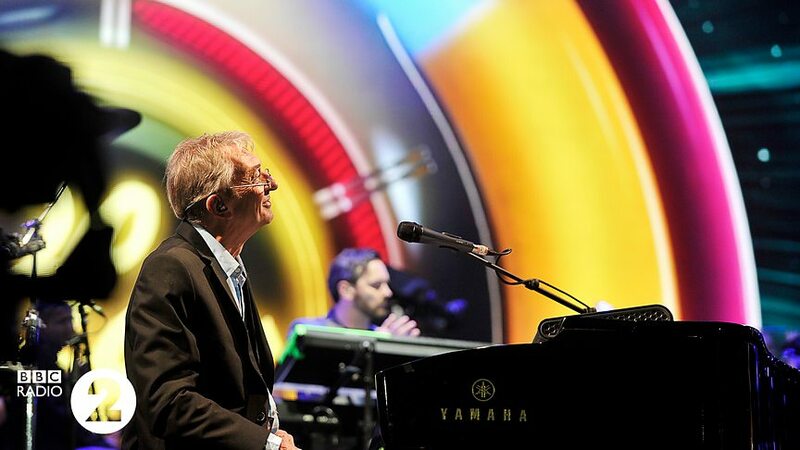 Along the way, the 66-year-old-as-his-younger-self played through the highlights of his catalog, adding in a track from Xanadu and the song that started off the legacy of the Traveling Wilburys, “Handle with Care,” which began life as a b-side knocked off in Bob Dylan’s home studio and instead became the firing pin that set off the Wilbury’s album explosion and legacy. Lynne dedicated the song to the late George Harrison and the late Roy Orbison, two of the five souls and beating hearts of the band. Lynne seemed genuinely surprised to be greeted by the expansive sea of fans swimming along to the tunes. And so many of them, too–baby boomers and relative babies too young to have been alive when the Electric Light Orchestra began. Thanking the audience every chance he got, he played and sang assuredly, even reaching the dreaded high notes with absolute musical certainty. He switched from electric Gibson to acoustic goodness and remembered all of the words. He brought past triumphs into today’s universe and every light in the crowd in front of him shined. Preferring the sanctity of the studio over live performance, Lynne may or may not engage Tandy and players to be named later on a tour of Britain. Maybe the US? TBD. For now, there is the pickup and refreshing of Hyde Park, a thing of beauty on any given day, now reverberating with the ghosts of sounds that populated the grounds last night. For the families and pensioners and dog walkers navigating the length of the park, there will be suspicious memories of a wonderful concert from the night before. For people who couldn’t be there as the notes flew out of the collection of sacred instruments on stage, there is always the Internet, where Lynne’s masterful gift to the people will hopefully live on forever. From “Can’t Get it Out of My Head” and “Sweet Talkin’ Woman” to “Don’t Bring Me Down” and “Rock ‘n’ Roll is King”–from “Mr. Blue Sky” to “Strange Magic”–these are the sounds that have stuck in the collective consciousness for decades and still live as breathing objects. This was a reverberating chunk of the Festival in a Day, a living thing that will last a lifetime, for evermore. 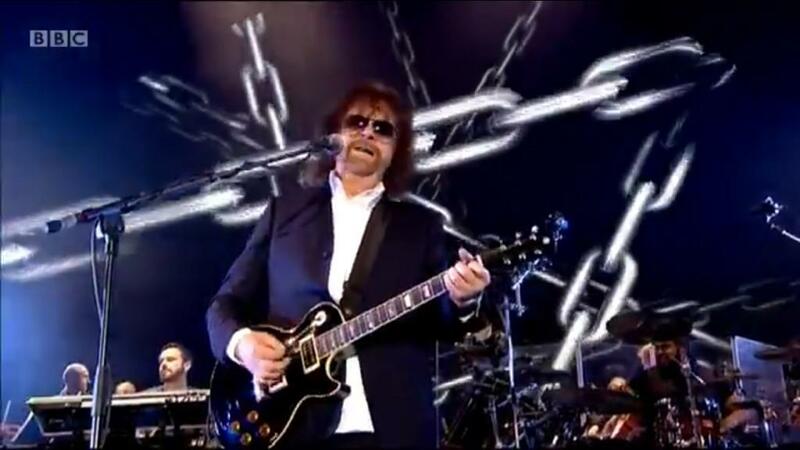 Click here to watch Jeff Lynne’s ELO perform “Mr. Blue Sky” at BBC 2’s Festival in a Day (BBC website). Click here to watch Jeff Lynne’s ELO perform “Roll Over Beethoven” at BBC 2’s Festival in a Day (BBC website). There must be something in the water here at Pure Pop Radio headquarters, ’cause we’re giving away the store! Well, maybe not the store, but certainly a couple of items in the store. What, pray tell, do we have for our winners, Jay? Yes, we have winners! 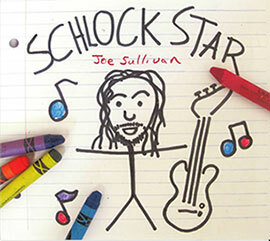 Our September 2 contest, which offered up a sealed copy of Joe Sullivan’s fantastic, hall-of-fame-worthy debut album, Schlock Star, will soon be winging its way through the U.S. postal service to none other than… <insert drum roll here> …Chipper Saam! Let’s hear it for Chipper, everybody! 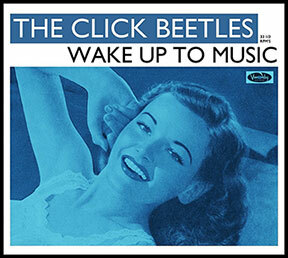 Our September 3 contest, which offered up one of the very last physical CD copies of Dan-Pavelich-as-the-Click Beetles’ Wake Up to Music (and a download code, too) also garnered winners, and they are Stephen Curtis (CD) and Michael Anthony Curan (download code). Let’s drum up some hefty congratulations for these guys, okay? There ya go–more winners of cool Pure Pop Radio contests. Keep an ear out for the next contest we bring to you–you may be the next winner!